It is not possible to show our full range on the website, so listed below are our most popular items. Please see our 2016 Catalogue for the full list of what we stock. Central motor driving all wheels via drive shafts. Ideal for longer British bogie cars such as Aberdeen Streamliner. Slightly short for Blackpool streamliners but can be used. Intended for the articulated Vienna Tram, consists of two halves with a motor in each. 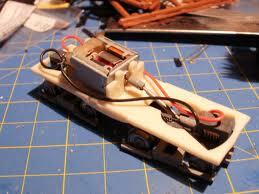 The central articulation is designed to fit the bogie supplied with the model so doesn’t come with it. Ideal for much longer Trams such as Grimsby and Immingham or for motorising half of a lightweight model with a trailing bogie in the other half. 23 to 28mm variable wheelbase unit. Suits most traditional type 4 wheel Trams. Longer 4 wheel unit at 35mm, ideal for longer wheelbase Trams such as Sheffield or Liverpool. One driven bogie via drive shaft. 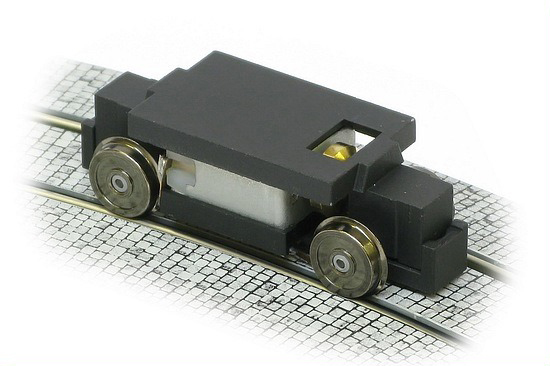 Ideal for standard length British bogie Trams such as London, Blackpool etc. As HT1 but both trucks driven via silicone tube. Specified for Blackpool Streamline Trams such as balloon, Boat etc. Built on a Hadfields balloon floor as the base (includes extra seats etc for use with single deck Trams). All axles driven via silicone tube. Available made to order for any bogie Tram of non standard length such as Coronation or Centenary. HT2, HTB and HTV motor units are also available in kit form. The Halling motor units are extremely reliable, smooth running and quiet. Other sizes and specifications are avauilable to order – please refer to the Halling website. HT prefix refers to Halling Type. 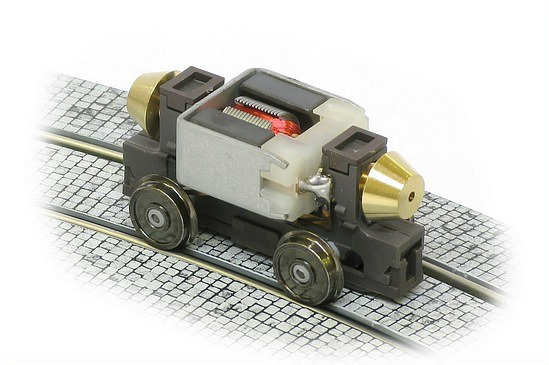 These units use motors, bogies etc obtained from Halling and are standard to their motor units. The silicone drive tube gives a little more torque, therefore they run at a slightly slower speed and are slightly noisier.